Razer today announced the Raptor 27, a gaming monitor featuring a 27-inch 1440p IPS panel with 144Hz refresh rate, 1ms response time, and support for AMD FreeSync. The Razer Raptor is the first monitor from the PC gaming producer. Also, it would seem that it merited the wait.The 27-inch gaming monitor includes a WQHD (2560×1440) IPS edge-to-edge display encompassed by thin 2.3mm bezels. The display itself supports AMD's Radeon FreeSync adaptive sync technology for quick response time and its refresh rate is timed at up to 144Hz. It likewise covers 95 percent of the DCI-P3 wide color gamut with up to 420 nits of brightness and features HDR for vibrant colors and deep blacks. 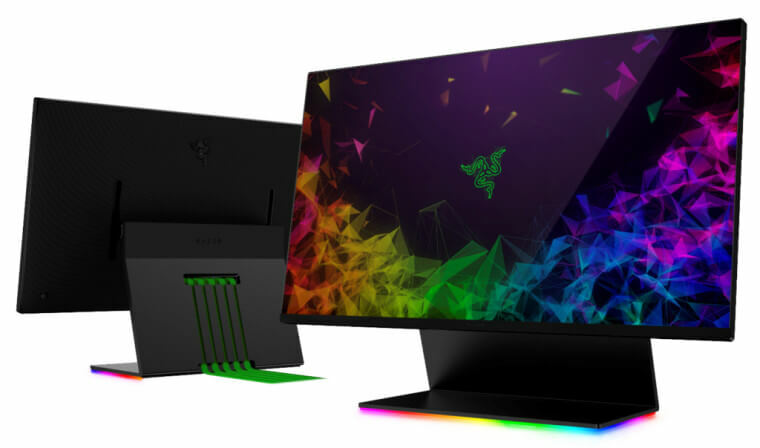 "Razer has worked alongside partners in the past to bring the Razer experience to monitors, but the full potential was never fully realized, said Razer CEO Min-Liang Tan in a press release. "We have decided to tackle this space on our own and are very excited to expand our presence to include desktop displays." It additionally includes a single body aluminum base outfitted with channels in the back for cable management, and can be tilted back 90 degrees so as to effortlessly achieve the cable inputs underneath. Furthermore, obviously, in advance the base is deceived out with Chroma RGB lighting. For the present, the display is at an early plan stage. Razer says the production units will be taken off not long from now in the U.S. also, Canada for $699.99.